South Korea is scheduled to launch its small satellite from an Air Force base in the United States later this week, Seoul's science ministry said Tuesday. The Ministry of Science and the Korea Advanced Institute of Science and Technology said the Falcon 9 is scheduled to lift off at Vandenberg Air Force Base in California at 3:32 a.m. (local time) on Thursday with the aim of putting the satellite, the Next Sat-1, into orbit. 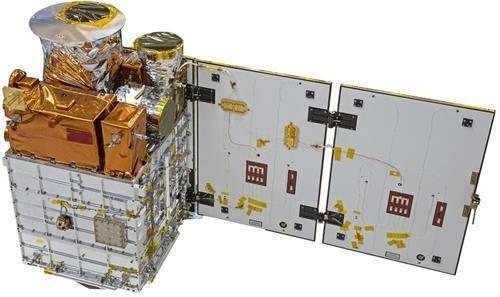 The 107-kilogram satellite, developed by KAIST from 2012-2017, will travel at an altitude of 575 km above the ground for the next two years to measure space radiation and observe stars' infrared rays, it said. The launch was earlier delayed as American rocket company SpaceX, founded by Elon Musk, extended its inspection of its two-stage rocket, the Falcon 9. It would mark the first time for SpaceX to reuse the same rocket three times. Up until now, practically all orbital rockets were disposable, meaning the rockets were thrown away after being launched into space.